Do Wonder Woman Reviews Prove a DC Movie Bias? The news that DC Films and director Patty Jenkins had hit Wonder Woman out of the ballpark should have been a chance for the DCEU diehards to celebrate. Celebrate and, since we're all human at heart, enjoy a bit of bragging rights, after months (years?) forced to hear how a Wonder Woman film would never get made, never be good, and never succeed financially. But with early reviews making Wonder Woman the "freshest" superhero movie ever, movie fans who enjoyed the prior DCEU entries, or simply felt that they weren't total and complete abominations were in for a short victory lap. 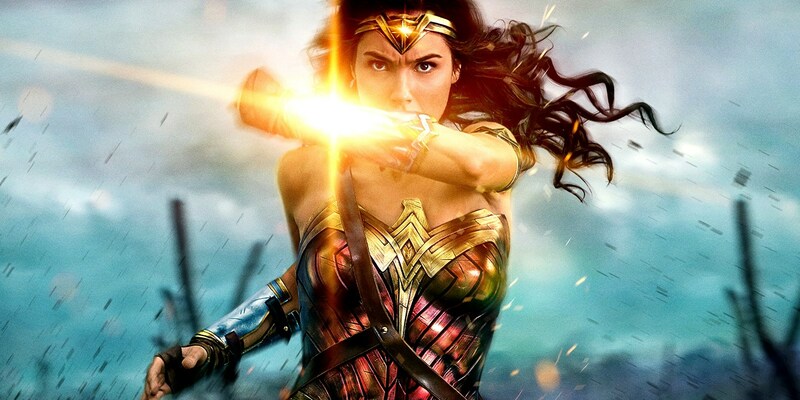 As more and more critics, bloggers, and reviewers saw Wonder Woman for themselves, the conversation took on a more negative slant. Wonder Woman was everything the DCEU failed to be. Patty Jenkins succeeded in all the ways Zack Snyder fails. That with the first "good" movie in the DCEU, Jenkins should be given the keys to the kingdom. For those making the claims, they did so knowing that the consensus of the movie critic community was behind them, with many simultaneously stating these comments and praise as "proof" that those accusing them of having a "DC Bias" would now be silenced. We're not so easily convinced, since the tendency to misinterpret, misunderstand, or mis-characterize just what "DC Bias" is referring to makes it hard to believe it has yet been addressed, let alone resolved. In fact, the heaps of praise and overwhelmingly positive review scores for Wonder Woman may have finally proven the "DC Bias" fans have been trying to illustrate and discuss for years. But before we can explain how Princess Diana became the exception that proves the rule, let's nail down just what the "DC Bias" really is, how it took root, and how those dismissing its existence may be the hardest ones to spot it at all. If there's one golden rule of news, it's that a tragic, unhappy, or negative headline will always sell better than a positive one. All things being equal, news of the unexpected taking place on a movie set, 'creative differences' behind the scenes, or particularly juicy gossip will gain more attention if framed through a negative lens. So it's understandable why many outlets assume a negative outlook first - even if that stance proves less accurate, or is purely an editorial decision. It follows that if a movie is considered by a majority of an outlet's audience to be lacking or a failure, extending that negative/worrying/skeptical tone and lens provides more opportunities to engage viewers and attract reader interest. Considering how divisive Man of Steel and Batman V Superman proved to be in their subject matter and characterizations of their title heroes, the entire DCEU proved a prime candidate for such treatment. At this point, there's no real sense to covering news or rumors of the DCEU with a positive or even neutral outlook, since its divisive content and tone lend so easily to worrisome headlines. Unfortunately, the box office returns and home video sales show that the audience is far from universal in its dislike. (In contrast to Marvel, three DC movies totaling nearly $2.3 billion is the kind of "failure" most studios would kill for). So for those who view the DCEU films as successful, or simply 'not failures,' the editorial lens favoring a negative reading makes little sense. Over time, those readers may ultimately see that outlook as intentional bias at work... and they're not necessarily wrong. But the editorial staff covering the news isn't necessarily wrong, either. The narrative surrounding the film or universe held by the audience being served has become a negative one, evidence has been accumulated to support it, so reporting all news through that lens... just makes sense. The result, as we're now seeing, is the accusation of bias, "known" prejudice against one studio over another, and a continuing narrative of what is working against what isn't. Put simply: the tone of DCEU updates, news, and rumors doesn't match the un-editorialized numbers. Writers who do control the tone can claim no wrongdoing or ethical dilemma, since this can all be classified as subjective and those writers, ingrained in how they feel personally, believe what they are saying - and therefore don't see a problem with how they're framing the conversation. In other words, the perceived "DC Bias" represents more than just review scores, but the language and assumptions made when discussing films tied to DC Films in any way. Anyone following this industry has, by now, seen the "DC Bias" presented as the simple accusation that a person or outlet "hates everything DC" - or often simplified to that claim by those being "accused." While such a straw man argument is tempting (it's easier to poke holes in), there are certainly those simplistic accusers out there. But by this point, the prevalence of people noting, discussing, and lamenting "anti-DC" language means it extends well beyond the most overt, direct, or simply loudest members. It all comes down to unwarranted negativity - which is both difficult to change, and even harder to notice or admit. That's due to the simple fact that the things we enjoy about a movie, TV show, or song will almost always take a backseat to the things we dislike. It's known in psychological circles and studies as "negativity bias," and it's the simple reason why a "bad" person caught doing something "good" won't trend on social media, but a "good" person caught doing something "bad"... that can ruin their career and life. In the realm of movie reviews, it means a film can do twenty things right and only two things wrong, and still wind up with only three out of five stars. It's a reality of the brain that people can barely spot - but major movie studios have taken notice. Why else are most successful blockbusters designed to deliver slick, smooth, polished adventures... while being as inoffensive as possible? That's not a slight against the creativity within those genres, nor a claim it's easier (writing and directing a feature film seems even more daunting, knowing a single misstep can make the difference between a certified hit and a disappointment).